One of the first steps for any student in improving their grades is to identify exactly what the problems are. Parents often find themselves at a loss because they aren’t exactly sure what they issues are, especially if the student has been away for college. There are so many potential problems, like issues with academics, distractions in the school environment, and even problems that can affect young men vs. young women. But, in the end, it’s the fast identification of problems that will guide timely intervention efforts most effectively. In order to help to identify these problems, I’ve created a tool based on the real-life issues I’ve seen students face. 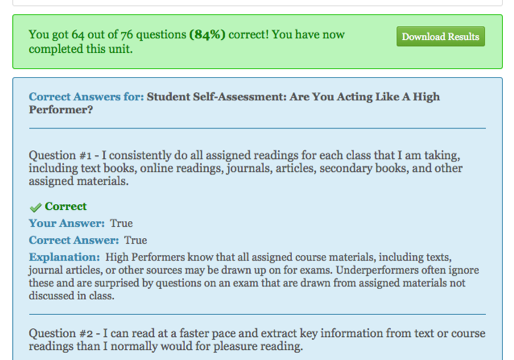 It’s the Student Self-Assessment For Academic Underperformance® and is based on the same one contained in my book. This is a broad-based, expanded version yet only takes 15-20 minutes to complete. Its simple format asks students to rate their actions and perspectives against those of students who earn top grades in college (High Performing students) to see if their own habits and outlooks are grade-enhancing or grade-reducing. It was designed around domains or categories of problems, such as academic skills, motivation, and skills students need to perform well in higher education. This expanded version also includes issues that are specific to bright students who Underperform in college. It’s real value is that it covers both obvious and hidden issues that are often present in students having problems, yet are not always intuitive. For example, one might expect a student’s grades to be affected by procrastination, so that topic is included. But less expected is that they may not be willing to ask for help, and often unexpected is that some students say they cannot even formulate the questions to ask a Professor when they do want help. Can be downloaded in PDF format after completion so it can be shared with parents, Advisors, or others trying to help them. It asks if students act like or share the perspectives of top students in college (High Performing students), and flags incorrect answers that can show potential problem areas so it’s easy to zero in on them. Is extremely important for students who wish to transfer colleges due to bad grades, since I’ve seen college problems repeat themselves across schools. They problems typically don’t go away just because a student transfers. This tool has proven to be of tremendous value for me in my work, and I am currently collaborating with some colleges, psychologists, and other professionals as a screening tool to identify student problems quickly. It’s in the learning section of my website which is learning.collegestrategyblog.com as well as on the resource page here. I highly recommend it since I’ve seen it work for myself. 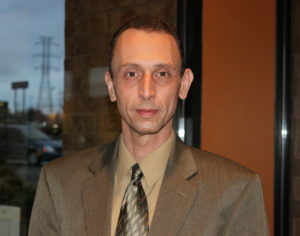 Jeffrey Ludovici, M.A., is a national-level higher education consultant based in Pittsburgh. He has worked with students, families, colleges, and other professionals for more than 10 years. He specializes in understanding why students can end up doing poorly in college, as well as what can be done to address the issues. Good luck for the 2019 school year! I have students this term at schools in all U.S. time zones, maybe at your school too! Feel free to write me using the contact page. This is a place for parents and students trying to find help for issues in college. Problems with grades, transfers, planning, transitioning, and more. Jeff attended the National Symposium on Student Retention in November last year where he met with college leaders from 400+ schools about helping students to succeed. Jeff is also a member of the National Association of Academic Advisors, and routinely helps students with college success strategies, transferring, picking majors, and other college issues. Please see the program page for more information. Book: “True Stories Of College Failure To Success” – $2.99 at Amazon. Free preview.